Are you trying to choose between buying an existing home or a newly constructed one? 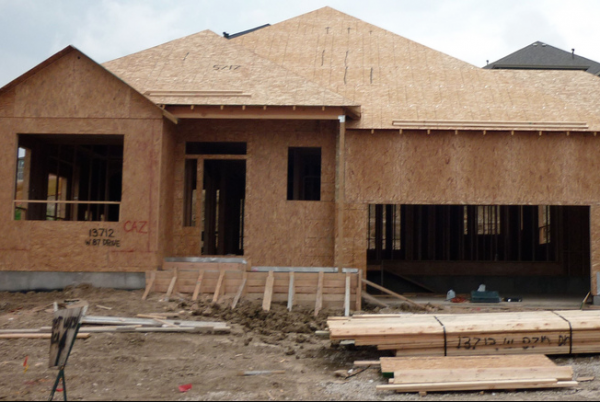 Look for new-home prices to jump dramatically in the coming months, as homebuilders face a shortage of suitable lots. USA Today reported this week that a Southern California firm, John Burns Real Estate Consulting, analyzed 27 leading markets and found that the average price of a “finished lot” suitable for building was up 40 percent in the second quarter compared with a year ago. Price increases were even higher in San Francisco and Oakland: up 87 percent. Finished-lot prices account for 22 percent of a new home’s price, on average, and higher lot prices may foreshadow larger home prices months from now, according to David Crowe, chief economist at the National Association of Home Builders. Crowe said that 59 percent of builders in an August survey reported that the supply of lots in their markets was low or very low, up from 43 percent in September 2012, and that lot shortages were especially acute in the most desirable locations. Builders will pass those higher costs on to homebuyers, said Crowe. The shortage of suitable lots is just one factor in the new-home market’s recovery, which the NAHB said is modest by historical standards. From a low of 550,000 in 2009, housing starts nationwide reached an annual rate of 900,000, according to the U.S. Census Bureau’s latest figures. Historically, though, starts averaged more than 1.5 million a year from 1960 to 2000, without ever plunging below 1 million until 2008. “There is still a substantial pent-up demand for housing waiting to be unleashed as the overall economy and labor situation improves,” stated Crowe.